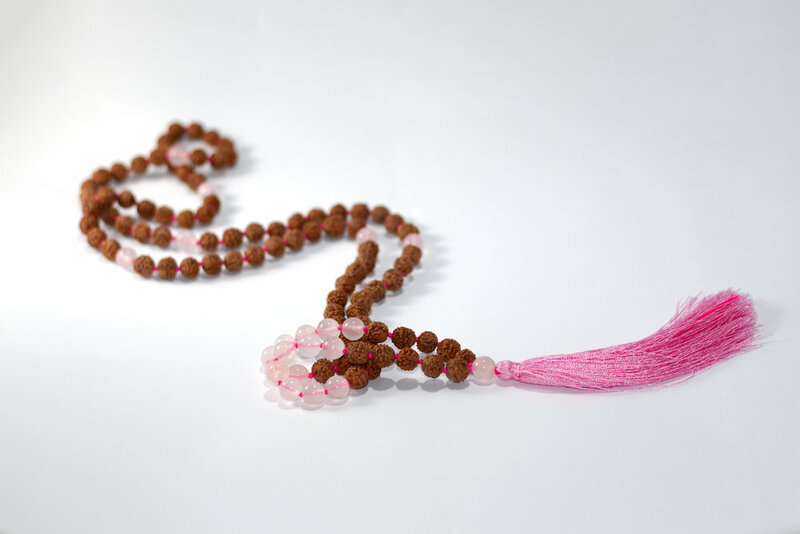 These 108 bead malas are handmade and ethically-sourced in India. 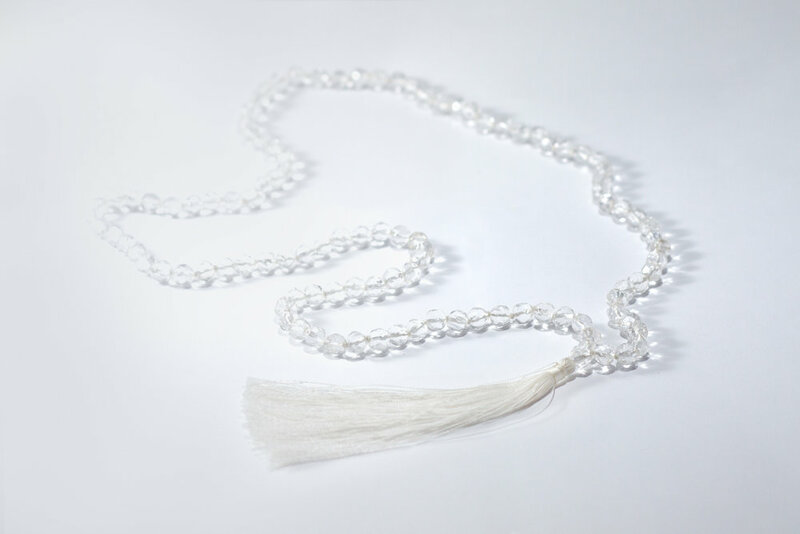 All malas will be initiated with a mantra unique for you. They are the perfect gift for yourself or a loved one and can be used for japa meditation or as a necklace. Click the button below to place an order. 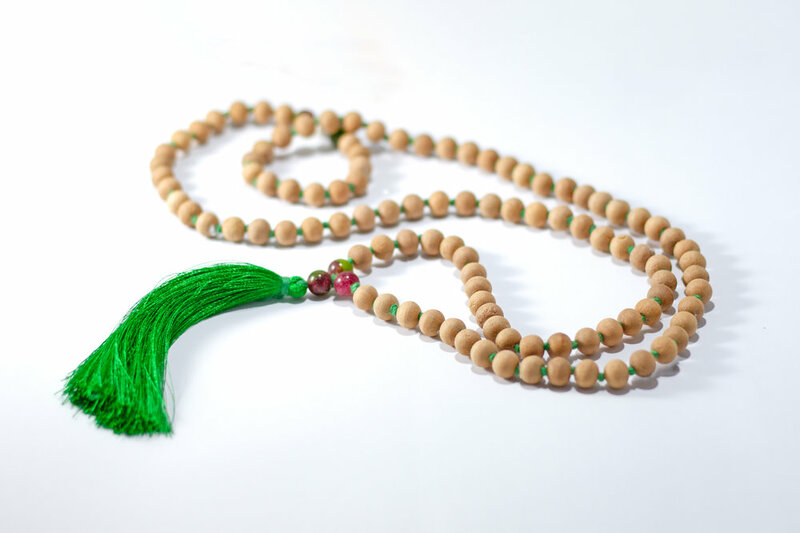 Please include the quantity and type of mala you would like to buy and I'll get in touch with you soon. Rudrākṣa and hand-cut, hand-drilled Himalayan crystal beads. Great for balancing the vital forces within the body and negative energy without. Rudrākṣa is a seed of a plant named Elaeocarpus Ganitrusand and is a traditional prayer bead. Sandalwood and watermelon jade beads. 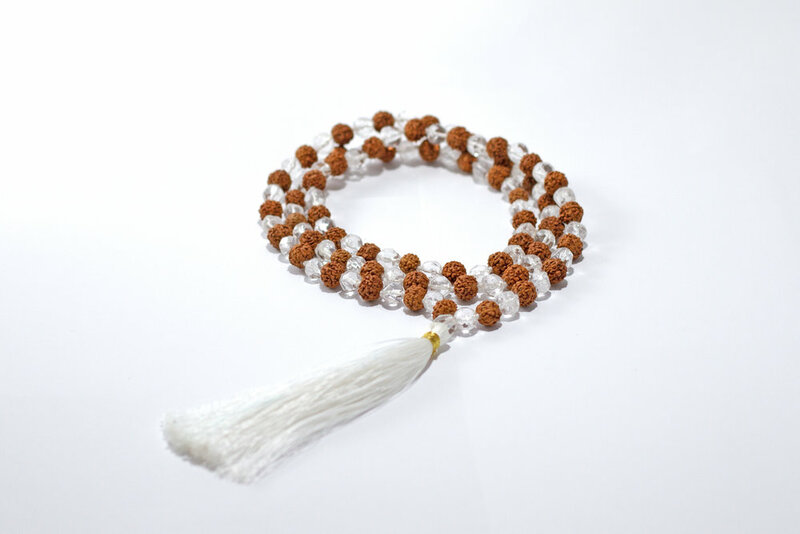 This mala is great for peace and brings balance and harmony. Rudrākṣa and moonstone. Great for nourishing sensual and feminine energy. Rudrākṣa is a seed of a plant named Elaeocarpus Ganitrusand and is a traditional prayer bead. Rudrākṣa and rose quartz. Great for the heart and enhancing the quality of love. Rudrākṣa is a seed of a plant named Elaeocarpus Ganitrusand and is a traditional prayer bead. Rudrākṣa and hand-cut, hand-drilled Himalayan crystal beads. 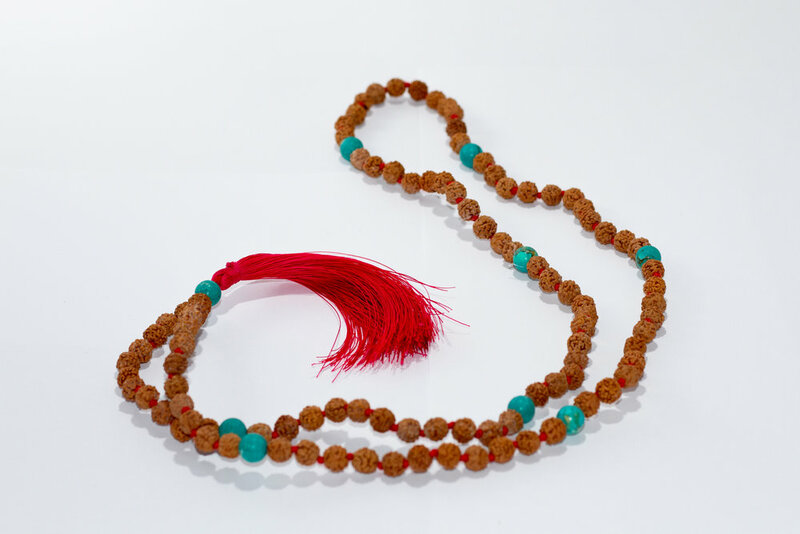 Rudrākṣa is a seed of a plant named Elaeocarpus Ganitrusand and is a traditional prayer bead. Hand-cut, hand-drilled Himalayan crystal. Great for physical, emotional and spiritual healing. Rudrākṣa and jade. Rudrākṣa is a seed of a plant named Elaeocarpus Ganitrusand and is a traditional prayer bead. Rudrākṣa and Himalayan crystal. Great for balancing the divine feminine and masculine energies.